Our latest discovery! Do you know anyone who loves to travel? Loves unique, international finds with great stories? Loves gifts that give back? Look no further than Globe In for the perfect gift. 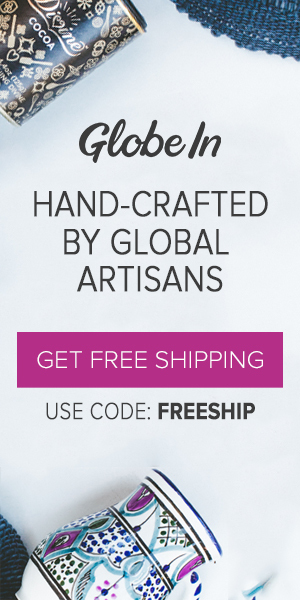 Globe In offers both a monthly subscription and a la cart options of curated items packaged in their signature gift basket from all around the world that beautiful, unique and support local artisans and farmers. And every item is guaranteed to be Fairly Traded. In addition to a distinctive offering, the company has a social conscious. Learn more about Globe In's Mission and Manifesto. I encourage you to explore what they have to offer!